We, the organizers of MEF, would like to thank all of participants, lectures, exhibitors. MEF's nine-year short history will be presented. Hiroki Kuwano received his B.Eng. and M.Eng. degrees in mechanical engineering and his Ph.D. degree in electrical engineering from Tohoku University, Sendai, Japan, in 1975, 1977, and 1990, respectively. He was a Member of the Electrical Communication Laboratories of Nippon Telephone and Telegraph Public Corporation (NTT). Since 2003, he has been a Professor at Tohoku University. He has 36 years of research experience and has authored or co-authored over 100 technical papers and books in the fields of MEMS and particle beam processing. His research interests are nano-energy systems, including energy-harvesting systems, and sensor networks, particularly those used for safety and medical applications. 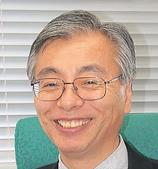 Prof. Kuwano was the recipient of the NTT President Award in 1993 and 1994, the Best Paper Award of The Japanese Society for Precision Engineering in 1997, and the Best Paper Award of PowerMEMS International Conference 2010 in Leuven.